because they don't clear them in winter time. Temporarily suffering with bum knees I couldn't go down to the park at the top of the falls but I could check out the view from across the falls. There was a couple of brave souls that made their way down the frozen valley to the base of the falls. "From the escarpment brow, noted for its panoramas, to the forested depths of the gorge below, the Spencer Gorge Conservation Area exhibits the physical features which have made the Niagara Escarpment one of Ontario's most spectacular geological formations. 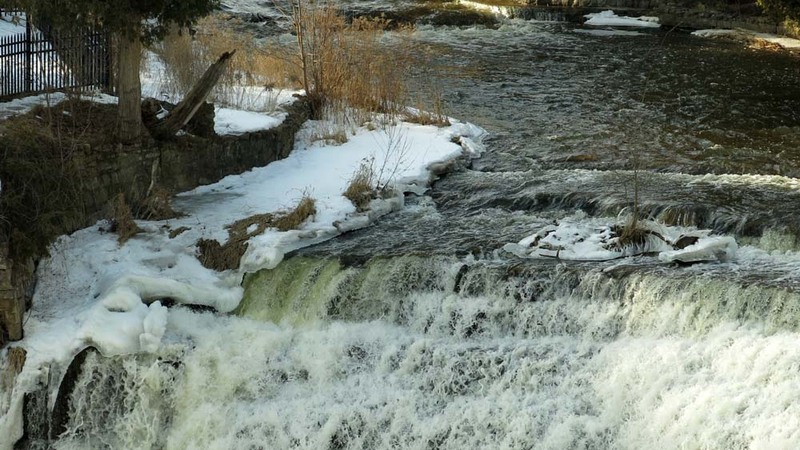 This significant natural area contains two beautiful waterfalls: Webster and Tew Falls. 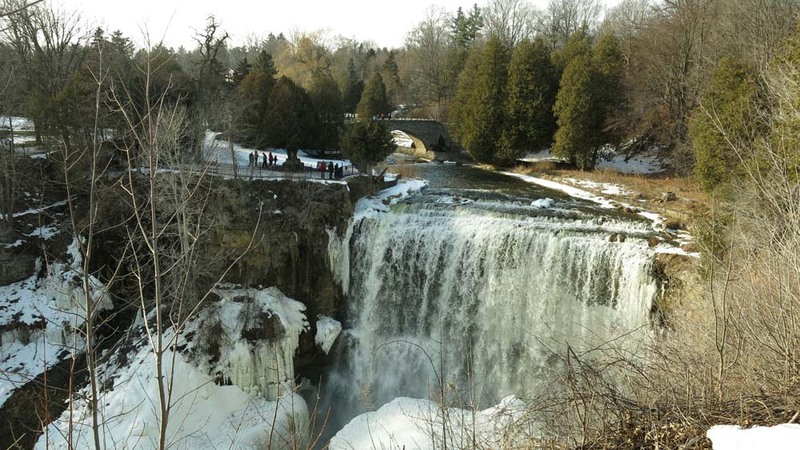 Webster is a magnificent tiered waterfall and Tew, which towers at 41 metres, is only a few metres shorter than Niagara Falls. Both offer spectacular vistas of the gorge." Parking in the winter is $10 per car and from May until October 31 the cost increases with an additional fee of $5 per person.